In 2015 the focus of the Newman's Own Foundation Australian charity funding round was Empowerment. 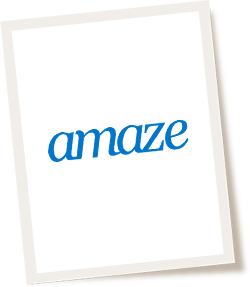 The Foundation invited charities to nominate individuals from within their organisations whose work empowers others to overcome extraordinary adverse circumstances, and/or provides equal access to human rights and contributes to the development of a civil society. Areas covered by this year’s grants program included human rights, indigenous causes, disadvantaged youth, veteran affairs and health and education services. Congratulations to the successful charities and their nominees. 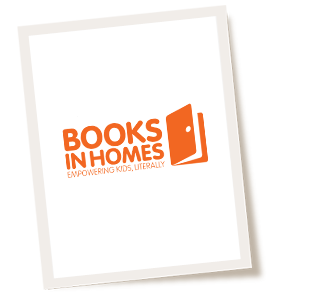 Books in Homes Australia provides books-of-choice to families and children living in remote and low socio-economic circumstances, ensuring crucial early literacy engagement and the development of reading skills needed for lifelong success, with 25% of titles on offer either written or illustrated by Indigenous creators. The grant will fund the purchase of books and literacy packs for 140 students at Moree East Public School in NSW. Muriel is the Executive Principal of Moree East Public School. The school has been identified as having a large number of students from a low socio economic status background and with 90% identifying as Aboriginal. Muriel’s dedication and passion is to bring change through a strong belief in the importance of empowering the students to work as a team and to enjoy the lifelong benefits offered by reading and education. The Bundaberg PCYC is a not-for-profit organisation located in a region considered one of the most disadvantaged areas in Australia with high youth unemployment (around 21%) and higher than average obesity rates (around 24%). 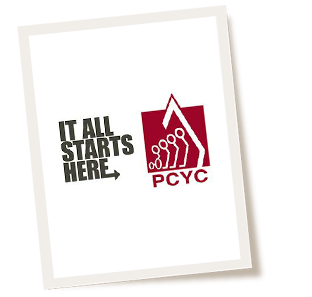 The grant will fund the PCYC’s U-Turn program which is aimed at ‘at risk’ and ‘in trouble’ youth as well as further develop their Youth Mentoring program in the local schools. Sergeant Kendall has worked tirelessly for the PCYC in both Bundaberg and Gladstone to help break the cycle of poverty, unemployment, disengagement with school, drug and alcohol abuse and crime amongst the local youth. He continues to empower those around him on a daily basis by listening to others points of view and being supportive of doing things differently as long as the main aim is to engage, support and empower local youth towards better outcomes. The Centre for Appropriate Technology Ltd (CAT) is an Aboriginal and Torres Strait Islander not for profit organisation with expertise in science and technology and which focuses on supporting small communities of Aboriginal and Torres Strait Islanders in remote Australia to access enabling technologies that underpin health and well-being. The grant will be used to support their Community Water Supply Management, a project with the primary objective of developing regional water management networks and provide the strategies and tools to enhance collective effort in water supply monitoring and management. Robyn began working at CAT in 2000 as Technology Transfer Officer for Water. From implementing rainwater harvesting/dual supply trials to undertaking policy work with the World Health Organization (WHO), her work has incorporated face to face capacity building and empowerment activities grounded in participatory development approaches, alongside national and international advocacy work. Robyn’s commitment to empowering Aboriginal people to make informed decisions and take action to improve their lives has been the ongoing principle behind her work at CAT. DefenceCare is a charity and public benevolent institution helping current and ex-serving members of the Australian Defence Force and their families in times of injury, illness and crisis. The organisation provides compassionate, practical and immediate support in a safe and caring environment. The grant will be used to help fund their Employment Transition Assistance program. This program provides the support veterans need to build a pathway into a successful career outside of the military, including additional training to bring their qualifications in line with mainstream diplomas and certificates expected from civilian employers. Peter is considered ‘a rock’ by the hundreds of veterans who have benefitted from his strength and compassion. As a counsellor, he has literally saved lives and families by helping veterans in crisis find their inner strength by organising practical assistance and providing sound, realistic support to empower veterans to achieve their personal goals and make changes for the better. Peter’s colleagues describe his steady, practical manner as the reason for the difference he has made to the lives of countless veterans. DRSSA (formerly Wheelchair Sports SA) brings together all sections of the community whether it be athletes pursuing gold medals in competitive sport or just members getting together to have fun and enjoy themselves with family and friends. DRS strives to support people with a disability to lead active, healthy lives through participation in recreation, fitness and sport. The grant will be used to fund the expansion of their Community Programs through the purchase of additional wheelchairs and equipment for their Wheelienet program. Rod is a former professional Aussie Rules player and also a TAFE lecturer in cabinet making before he permanently injured his spine after a swimming accident. He then became involved in disabled sports, competing in the World Championships in France, winning a bronze in the discus in 2002 and a silver medal in the discus and the shotput in 2006. Rod has been with DRSSA for over 6 years working tirelessly to liaise and develop relationships with individuals and organisations. Rod also helps run the Wheelienet program at DRSSA, delivering its message across the State through educating students, corporate groups and the general community about the skills and abilities of athletes in wheelchairs. 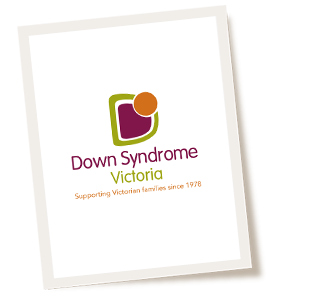 Down Syndrome Victoria has represented people with Down syndrome and their families in Victoria since 1978. It provides support, information and resources with the mission to empower individuals with Down syndrome. The grant will be used to for their Inclusion Support Service which assists children to be educated in mainstream school classroom with dramatically improved educational outcomes. Ian Cook has been an education consultant for Down Syndrome Victoria (and EPIC) for over 20 years. He has ensured that students with Down syndrome reach their full potential by providing practical hands on support, plus resources and skills to teachers and support staff responsible for meeting their learning needs. His tireless work is highly valued by families as well learning and teaching professionals, medical and services providers and community groups. He has helped to improve the educational outcome of over 500 members of the Down syndrome community during his many years of service. EdConnect Australia recruits, trains and places older Australians (mainly retirees) as regular volunteers supporting at risk or disadvantaged students in the classroom during school hours to ultimately help them stay engaged with learning. The grant will be used to sustain and grow the numbers of both older volunteers and young people being supported in schools in VIC, NSW and WA and to establish an Impact division to capture, monitor and report on the ‘change’ resulting from the volunteer interactions. Lisa founded the Timehelp program in 2004 when she identified a need for volunteer help and positive older role models in schools in the Geelong region of Victoria. Since then she has empowered over 300 retirees to help in schools and has grown the program from Geelong to other regions of the state and into NSW. Lisa has also developed promotional DVDs, newsletters, a website, and evaluation tools to measure the impact of the project. Her 10 years of dedication culminated in 2014 when she successfully enabled Timehelp to merge with The School Volunteer Program to result in Australia’s only national charity dedicated to in-school volunteering to help young people. Fighting Chance Australia believes that no Australian adult should be prevented from pursuing their ambitions and fulfilling their potential simply because they have a disability. It provides opportunities for meaningful social participation, employment, work experience and skill development to young people with the most significant disabilities in our community. The grant will be used to fund their Work Experience Program, which empowers school and TAFE students with significant disability aged 14-18 years. As co-founder and CEO of Fighting Chance, Laura was inspired by her youngest sibling, Shane, who had cerebral palsy. His experiences of being rejected from a number of work experience placements during his last years at school was typical of hundreds of thousands of other young people with profound disability – a situation that Laura found completely unacceptable. Since then, her mission has been about empowering young people with disability across Australia with the opportunities to be their best selves. Laura also sat on the NSW Disability Council, a body which advises the NSW Minister for Disability, from 2011 – 2015.
anbina was founded in 1997 to address the issue of equal employment participation for Indigenous people living in the Goulburn Valley in Shepparton, Victoria. The grant will help fund the Youth Leadership Program, a three year program for year 10 -12 students who are potential community leaders. The program introduces them to other mainstream leaders of significance by involving them in regional, metropolitan, national and international events to help develop their leadership skills and capacity. 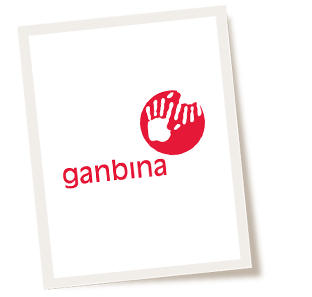 Kellie Marsters has been the coordinator of Ganbina’s Youth Leadership Program for the past 7 years and has achieved extraordinary results for disadvantaged Indigenous young people aged 15 – 18 years. Under Kellie’s guidance, the program has been imbued with a multi-faceted methodology which aims to help young people fully understand the lifelong advantages that secondary and tertiary education, job training and sustained employment can offer them, both as individuals and as members of the community. Under Kellie’s leadership the program has also empowered them to achieve these advantages by providing them with the practical guidance, skills and tools to turn these possibilities into realities. The GI Cancer Institute raises awareness of gastro-intestinal cancer and organises free Engage Community Forums across Australia, providing information and support for people living with GI cancer and their families and assisting them to develop connections within their local communities. The grant will be used to fund these free Engage Community Forums during 2016 as well as the development of online resources providing information for those unable to attend a forum. In 2005 after a routine check-up, Dan Kent (then aged 60) was diagnosed with a form of bowel cancer. Living in regional Queensland, he had to drive the five hours to Brisbane for treatment. After major surgery and 16 weeks of chemotherapy, Dan’s cancer journey had a positive outcome. During his treatment, Dan didn’t know where to turn for information and advice and he found it extremely difficult to find other cancer survivors with whom to share his experiences. Having also lost his daughter to breast cancer in 2002, he became passionate abut improving the journey and outcomes for GI cancer patients, survivors, carers and their families. As a GI cancer survivor and the Chair of the GI Cancer Institute Consumer Advisory Panel since 2011 he continues to actively promote and participate in Engage Community Forums across Australia. Since 1986, Leeuwin’s Youth Explorer Voyage Program has challenged and inspired young people to realise their personal potential and make a positive contribution to the wider community through the unique medium of tall ship sailing. The grant will be used to fund 40 scholarships for their 2016 Ultimate Challenge, a 5-day voyage program for young people with a sensory, physical or mental disability that provides them with the extraordinary opportunity of stepping outside their comfort zone in an exciting but safe and supportive environment. Sarah has been the captain of the STS Leeuwin II for the past seven years and has helped empower a wide cross section of youth from a variety of backgrounds. Her commitment to developing leadership and teamwork skills in a supportive and encouraging environment provides all participants with the opportunity to take on new responsibilities, and achieve new things that are often well outside their comfort zones. As a result, thousands of WA’s young people have left the ship greatly enriched and empowered, often coming back to volunteer their own time to sail again. Her personal achievements include International Sail Trainer of the Year 2013and Fair Go Pride of Australia Medal 2014. Lighthouse Foundation has crafted a unique, highly successful model of stopping the chronic cycle of youth homelessness and has helped more than 780 young homeless Australians to lead autonomous, fulfilling lives. The grant will be used to fund their Homeless Mother and Babies Life Skill Program which assists young mothers through educational support, life-skills training, career development, mentoring along with the resources needed to participate more fully in community life. Susan began to develop her powerful influence to empower others after witnessing a child die from malnutrition while volunteering in a Sri Lankan orphanage. She took on 22 foster children in her own home from 1976 until 1991, when she established Lighthouse Foundation. Susan pioneered a new approach of dealing with Australian youth homelessness, believing that traumatised young people need a place where they belong, feel cared for and honoured physically, emotionally, mentally and spiritually. Her many awards include Member of the Order of Australia (2002) and Melbournian of the Year (2009). 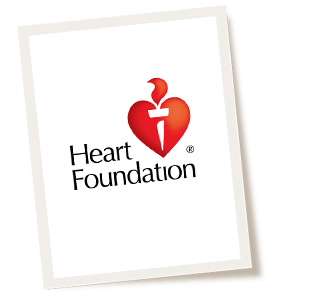 The Heart Foundation is Australia’s leading voice on heart health, helping to save lives and improve the health. Its mission is to reduce premature death and suffering from heart, stroke and blood vessel disease in Australia. The grant will be used to fund their My heart, my family, our culture program for Aboriginal and Torres Strait Islander people and non-Indigenous Australians through upskilling Aboriginal Health Workers so they can share information and raise awareness about heart disease risk factors through self management. Megan is the Primary Health Care Manager at the Heart Foundation (Queensland). She has a real interest in Indigenous health, which developed while working as a Registered Nurse-Midwife in Alice Springs and visiting local Aboriginal communities to provide health screening and education. Megan was instrumental in revising the My Heart, My Family, Our Culture suite of Aboriginal and Torres Strait Islander cardiovascular disease prevention resources and has used these in a number of remote Queensland communities to educate and share the resources with Aboriginal Health Workers, empowering them to promote heart disease lifestyle risk factor modification in their own community. 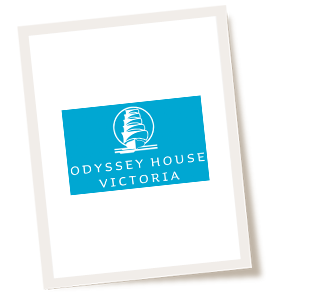 Odyssey House Victoria is a leading provider of drug and alcohol treatment services. These services are delivered in holistic, non judgmental and therapeutic environments across Melbourne and regional Victoria. The grant will be used to support an alcohol and other drug early intervention program called Building Resilience in Community Schools and will provide counselling and holistic AOD treatment and drug education for students plus professional development for teaching staff at Caulfield Park and Sydney Road Community Schools. George is the manager of the Youth and Family Services and has worked in welfare for over 20 years. A true innovator, he has initiated a number of programs in environments where young people can feel safe, familiar and accessible such as in schools, alternative education settings, refuges and emergency housing. As a manager in the youth juvenile system George has also witnessed firsthand the relationship between crime and the overarching need for early intervention support for young people. Reading Out of Poverty’s mission is to develop the early literacy skills of the most disadvantaged children so that they have the capability and confidence to succeed in education, reach their full potential and contribute to their community and the world. The grant will be used to fund their Play, Learn & Read program and provide pop up libraries to disadvantaged and migrant communities in Melbourne’s outer south-east. Emma is the Play, Learn & Read program manager who has effectively developed a spirit of collaboration across the early childhood sector in various communities along with developing partnerships with other welfare agencies, local government, pre-schools, playgroups, parenting and community groups. Emma’s vision and commitment continues to empower children and families who are trapped in the cycle of poverty. She strongly believes that education is a key pathway out of poverty and is focused on promoting early childhood reading and school preparedness in marginalised communities in Victoria. SisterWorks is a grassroots not for profit social enterprise that supports vulnerable asylum seeker, refugee and migrant women to settle in Australia by encouraging them to develop their underlying business and entrepreneurial abilities and become self-sufficient and independent. The grant will be used to fund the Business Lab program which will provide 10 monthly training sessions in business skills, planning, taxation, marketing, finances, and computer use to help ensure that their businesses are sustainable. Luz was a successful entrepreneur in her country of origin but the experience of becoming an asylum seeker and transitioning to Australia brought her face to face with unemployment, poverty and social disadvantage. As a result of her experience Luz founded SisterWorks with the purpose of bringing women together to break isolation, build networks and generate personal income. Thanks to her passion, today SisterWorks is an established social enterprise involving more than 100 women who strongly believe that ‘work empowers women’ and ‘together we are strong’. Smart Pups Assistance Dogs is a dedicated not-for-profit organisation based on the Sunshine Coast, QLD Australia that focuses on improving the quality of life for young people with Autism and Seizure related syndromes, and their families through training their dogs in ‘task specific’ skills. The grant will be used to purchase, raise and train two Medical Alert Assistance Dogs which will be certified for full public access. Patricia is the Director of Smart Pups Assistance Dogs, which she founded after a friend asked her to train an assistance dog for her mobility-restricted child. 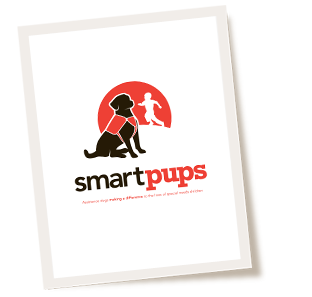 Patricia began her Smart Pups journey with an internship at ‘4 Paws for Ability’ in America and on her return established Smart Pups as a not-for-profit venture in dog-assisted early intervention. She continually empowers those around her through trust and action and her willingness to get her hands dirty alongside them. Patricia also initiated and continues the push for legislative amendments to Queensland’s Guide, Hearing and Assistance Dog Act 2009 to ensure existing barriers around access to public places do not disadvantage special needs children, their Smart Pup or their families. SCIA provides information and support services across the whole life journey for people with spinal cord injuries. The grant will be used to support the Walk On exercise program with the purchase of equipment for a new Locomotor Training centre specifically for children at the University of Sydney facility in Lidcombe. Kierre Williams joined SCIA in 2009 as a physiotherapist working in exercise rehabilitation. These days she is working behind the scenes managing staff in the Brisbane, Sydney, Melbourne and Perth facilities which she was also instrumental in opening. Kierre runs the Walk On initiative which is an intensive exercise program for people with a spinal cord injury and other neurological conditions. Over the past six years she has helped many clients achieve things they never thought possible due to their physical limitations and her passion to make a difference in their lives continues to empower all those involved in the program. St Vincent de Paul Society Queensland is a non-profit organisation serving and supporting the most disadvantaged and underprivileged people in our community. Their mission is to serve the poor with love, respect, justice, hope and joy, by working to shape a more just and compassionate society. The grant will be used to fund a part-time coordinator for their Compeer Program, an internationally affiliated companionship program for people living with a mental illness. The program will address the growing need for mental health support in rural communities, with particular emphasis on local primary producers and farmers in rural and remote areas. Mandy has been instrumental in growing the Compeer mental health support program on the Sunshine Coast QLD, empowering the lives of over 50 people living with mental illness. Her passion and commitment to empowering people experiencing mental illness has also led to the development of a strong and sustainable program of support for those in need in the Caloundra area. The foundations of trust and respect built between Vinnies and local health and community organisations that refer clients means that many of the future volunteers and clients in the Sunshine Coast community will have Mandy to thank for this accessible and valued mental illness support service. Since 1988, Starlight has brightened the lives of seriously ill children, teenagers and their families, replacing fear, pain and stress with joy, fun and laughter. There is a Starlight Express Room in every major children’s hospital. The grant will be used to develop and deliver their 2016 Arts In Health program in Western Australia which aims to enhance the quality of holistic health care as well as supporting the overall hospital environment and transforming the experience of hospitalisation for these young patients. Bridget joined Starlight in 2009 and since then has passionately worked to empower not only seriously ill and hospitalised children and young people through program development and initiatives, but also to empower the Starlight team. Bridget has been an integral part of a unique hospital program for adolescents, Livewire In Hospital, and strongly believes that one of the best ways to empower these young patients is by working closely with both the Starlight and hospital teams, and this approach is integral to each arts project. Claiming the lives of three Australian children every week, childhood cancer is the leading cause of death from disease of Australian children. The Kids’ Cancer Project aims to change this statistic by funding Australia’s very best research into cures for childhood cancer. The grant will fund the Australian Family Handbook for parents of children who have or are being evaluated for cancer. The handbook will provide reliable information about treatment, support and follow-up care for children and young people with cancer. Col is a former tourist coach driver whose journey began in the late 1980s when he stopped outside the former Camperdown Children’s Hospital in Sydney to allow two young children with bald heads to cross the road. He parked and went into the hospital and was so inspired by the children he met, he began a personal mission to give kids with cancer the gift of life. He funded and found sponsorship for day trips and camps for the children in the oncology unit for almost a decade before turning his passion and into raising money for childhood cancer research. In 1993 Col founded The Kids’ Cancer Project with the aim of raising $1 million for childhood cancer research. 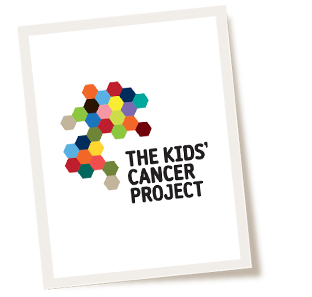 Twenty years on and The Kids’ Cancer Project is now the largest funder of childhood cancer research in Australia. Col was awarded the Order of Australia Medal in 2000 and today at the age of 75, he remains an actively involved Director of the charity – and he still sells raffle tickets each week at his local markets in Townsville. 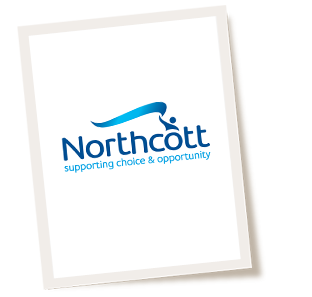 Craig is one of Northcott’s longest serving staff who has made an immeasurable difference to thousands of people living with disability over the past 30 years. Described as the epitome of a quiet achiever he individually designs and builds by hand, customised footwear for people when off the shelf products do not meet their needs. Supporting people in this way is Craig’s passion and he often talks about the joy he gets from seeing people being able to walk, sometimes for the first time, but always more easily as a result of the products he crafts. The Shepherd Centre helps all children with hearing impairment to listen and speak so they may reach their full potential in life. The grant will be used to fund the My Hearing Pal/TSC Connect project, a customised, mobile and interactive portal for parents and therapists to interact, record, manage and monitor children’s communications milestones as well as access to newsletters, appointments, cancellations, content of therapy sessions. Over 500 hearing impaired children from all over NSW, ACT and Tasmania will benefit from the project. Aleisha is Director of Clinical Programs and was awarded Not for Profit Manager of the Year NSW and ACT 2014 by the Australian Institute of Management for her efforts in managing, mentoring and empowering those around her. She has worked tirelessly with a team who have researched abilities and outcomes of children with hearing loss, leading and developing research direction within the organisation and externally in collaboration with stakeholders and partners globally. Aleisha’s vision is to ensure that all hearing-impaired children are empowered to reach their full potential in life through the development of listening and speech skills.